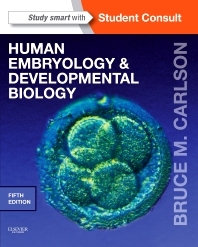 Master the concepts you need to know with Human Embryology and Developmental Biology. Dr. Bruce M. Carlson's clear explanations provide an easy-to-follow "road map" through the most up-to-date scientific knowledge, giving you a deeper understanding of the key information you need to know for your courses, exams, and ultimately clinical practice. Visualize normal and abnormal development with hundreds of superb clinical photos and embryological drawings. Access the fully searchable text online, view animations, answer self-assessment questions, and much more at www.studentconsult.com. "This is an excellent content bridge between anatomy and clinical practice: the vignettes are great and the images from the book are available online and downloadable as slides. It could become a best seller as its content and presentation are excellent, and the web-based support is very good."